Childages 4-11years old. Children under 4 are free. Venture over the Golden Gate Bridge to an isolated canyon filled with ancient coastal redwood trees, known as Muir Woods. 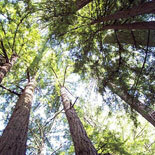 Enjoy solitude and peace as you stroll for 1.5 hrs through 1000-year-old trees towering 260 ft tall. Option to take the Sausalito Ferry back to San Franciso. Next, travel to Sausalito, a Mediterranean-like village harbored across the San Francisco Bay, famous for its sweeping views and timeless sophistication. Stay on board the bus as it drives through the sights of this wondrous town, or hop off and extend your time in Sausalito by catching a Return Sausalito Ferry with Blue & Gold Fleet. Ferry ticket is at an additional cost of $12.00. 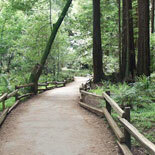 Soak up the ageless and infamous beauty of Muir Woods, Sausalito and the Golden Gate Bridge. 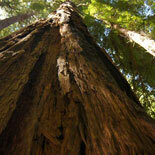 Get your eTickets now for the Muir Woods Tour. 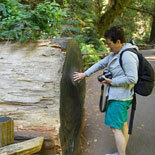 Step back in time as you walk through the awe inspiring giant redwoods that give meaning to the saying, "Be Still and Know that I AM God". Available daily at 9:00 am, 11:00 am and 2:00 pm all year-round. New Years Day: 9:00 am tour unavailable. July 4th: 2:00 pm tour unavailable. Reservations are required. Not all times may be available for the date selected. Ticket will have details on confirming tour time for date selected. Child Ticket: ages 4-11years old. Children under 4 are free. The Sausalito Ferry service is provided by Blue and Gold Fleet. Additional cost of $12 for Ferry-can be paid on the boat. For the latest ferry schedule, call Customer Service (the number willl be on your eTicket) ~ Complimentary pick-up from most San Francisco hotels. lso complimentary pick up from San Francsico Airport area hotels (Millbrae, South San Francisco, Burlingame, San Bruno). 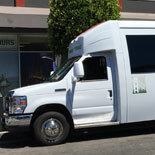 Unfortunately, they do not provide pick-up service for guests staying in the East Bay, South Bay or North Bay. However, they can recommend you take BART (if from the East Bay) or CALTRAIN (if from the South Bay) into San Francisco, and from there arrange a pick-up within San Francisco.